An evil banker, Char Cole, wants the land the church sits on to build a casino. He sends a bogus mortgage bill demanding the church pay a $10,000 balloon payment to scare the congregation in to selling him the property for a fraction of what it is worth. Church members hurriedly decides to submit a secret barbecue recipe to a contest in hopes of winning the huge cash prize. They even open a barbecue restaurant in the church to raise money. Meanwhile, Miss Phit, the bumbling church secretary, is constantly getting the bulletins and newsletters wrong, sending misleading and funny information out to the congregation. In the end, however, it is Miss Phit who saves the day because she is really undercover as an A.N.G.E.L., er, make that A.N.G.L.E., the Anti-Nefarious Gangster Law Enforcement. While a narrator instructs the audience when to boo and hiss, everyone will know when to laugh in this rich 30-minute comedy. 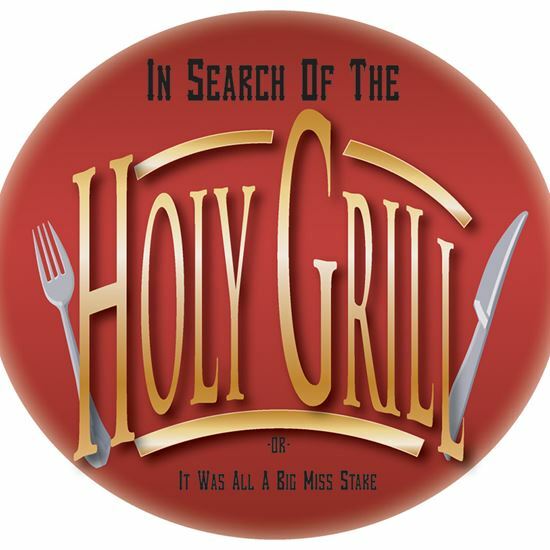 "IN SEARCH OF THE HOLY GRILL OR IT'S ALL A BIG MISTAKE"
A: When I was visiting my son in Massachusetts he took me by an old church that had been converted to a barbecue place named "Holy Smoke." We began to explore the puns that fit with such a restaurant. In addition, I had heard about "misquotes" found in church bulletins. The two seemed to fit together. A: My favorite part is the twist at the end, where Miss Phit or Miss Stake is identified as a crime fighter. I could not bring myself to have the minister engage in the mayhem that generally found in a melodrama, so I had to come up with an alternative. It does provide a surprise. A: The characters are purely fictional. A: This play, as with most melodrama, stresses right wins out over wrong. But for the most part, the play is for fun.